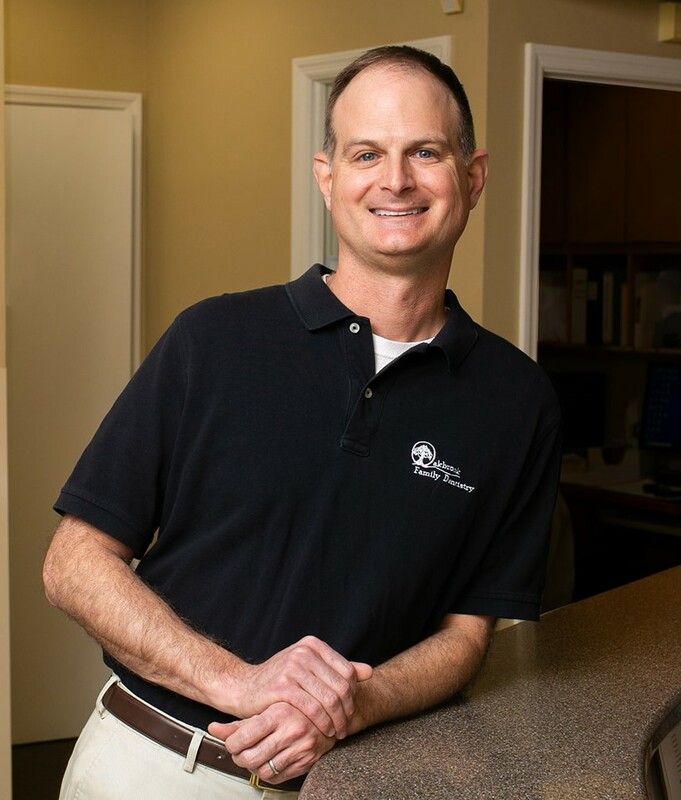 Dr. John Poole has been a practicing general dentist for fifteen years. He was inspired to pursue a career in dentistry by the caring dentists he knew in his family and home community of Denmark, SC. He earned a Bachelor of Arts Degree in Biology at Washington and Lee University in 1997, and graduated from the College of Dental Medicine at the Medical University of South Carolina in 2002. After completing his dental training, Dr. Poole served as an active-duty dental officer in the U.S. Navy for three years. In 2005, the Poole family relocated back to the Charleston, South Carolina area. After working in other private practices, he joined Dr. Thomas Janecek at Oakbrook Family Dentistry in 2009. "I believe that as a general dentist I have made a special commitment to serve and educate my patients and the community. I will continue to learn and use the most currently accepted technologies, procedures, and materials. Dental care is continuing to evolve and advance so that we can offer our patients more options, better results and a more comfortable experience." Dr. Poole is an active member of the Coastal District Dental Society, the South Carolina Dental Association, and the American Dental Association.